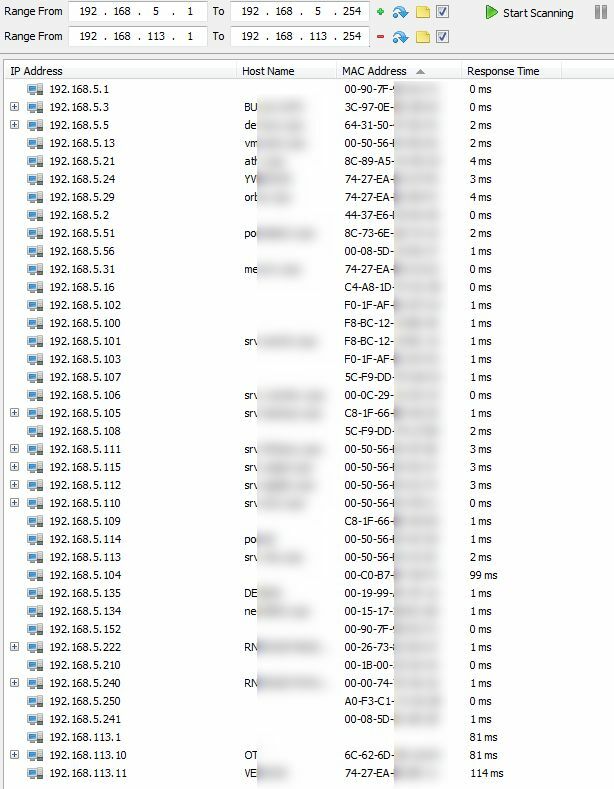 With version 1.0.3, I can scan other networks connected on my network by VPN (I'm on 192.168.5.0/32 and I can ping/access devices on 192.168.111.0/32 and 192.168.113.0/32). I found devices on these 3 networks. After updating to 1.0.4, with the same address range, no devices found (but of course, devices found for my network : 192.168.5.0/32). Back on 1.0.3 : devices found. I think there's a problem with scan since 1.0.4. By the way, with 1.0.3, WiFi Guard found many devices but all MAC addresses are 00-00-00-00-00-00. That's probably because those devices are on the VPN and so WiFi Guard can't get their MAC addresses. As there's no way to track or identify zero MAC address devices, the newer version simply ignores them. But with SoftPerfect Network Scanner, I can see MAC addresses for devices on other range connected by VPN (see attachement). So, why not in WiFi Guard? 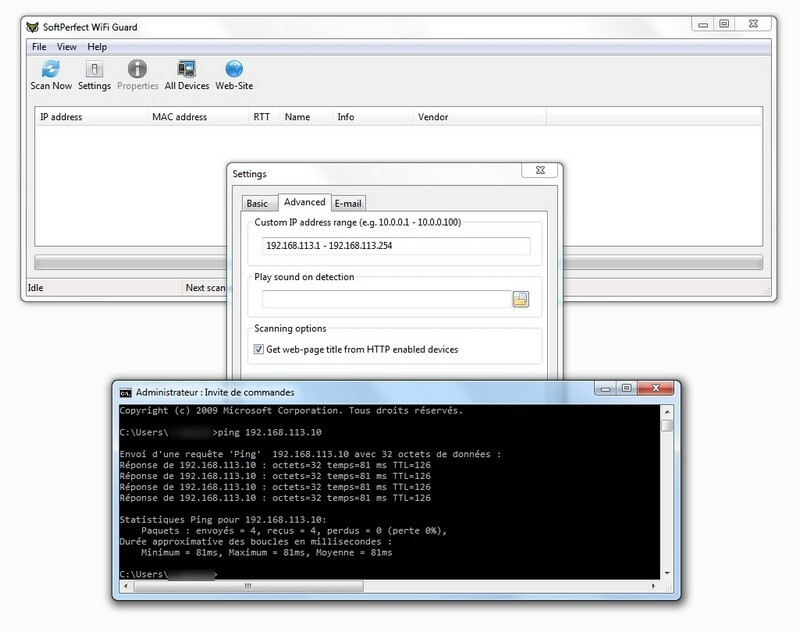 NetScan uses a few tricks that WiFi Guard currently does not. Could you please post here a screen shot of the Additional tab in the netscan's settings? Here is the additional settings screenshot. That's what I thought about. 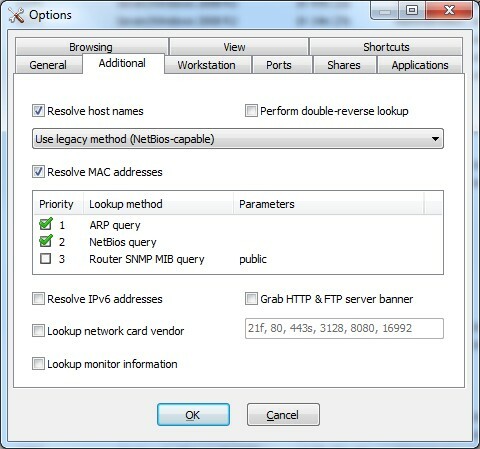 The network scanner retrieves MAC address of the computers in the VPN using the NetBios request, but it's not really a reliable method and it's not used in WiFi Guard at the moment.